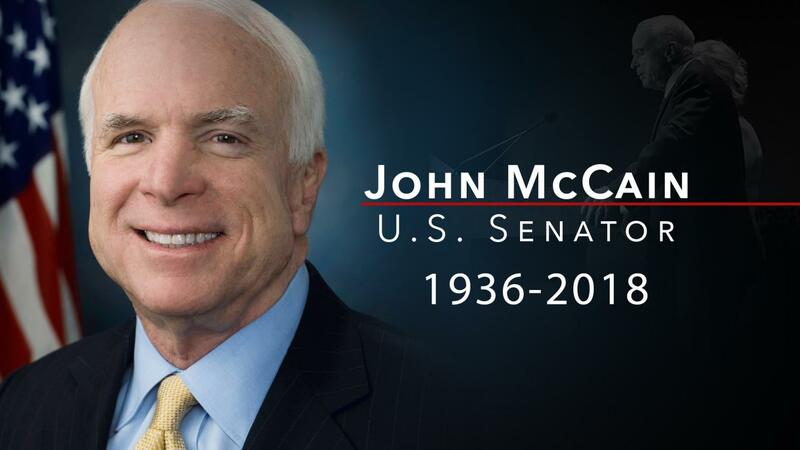 A series of memorial events for Arizona Sen. John McCain, who passed away last Saturday at age 81, will conclude Sunday. A private memorial service will be held at the U.S. Naval Academy Chapel in Annapolis, Maryland. It is closed to the public and the press. On Saturday, McCain’s family, friends and colleagues gathered at the National Cathedral in Washington. His daughter Meghan delivered an emotional eulogy, while rebuking President Trump. Former President Barack Obama also spoke. He said McCain never hesitated to tell him when he disagreed with something during Obama’s presidency. “But for all our differences, for all the times we sparred, I never tried to hide, and I think John came to understand the long-standing admiration that I had for him,” Obama said. McCain’s body will be laid to rest at a private burial ceremony following Sunday's service.